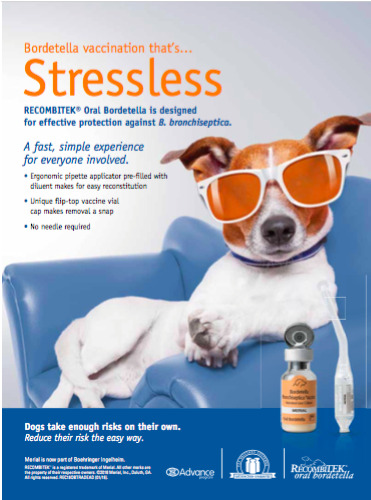 Recombitek Oral Bordetella oral vaccine has shown to be effective against canine infectious tracheobronchitis caused by Bordetella bronchiseptica, the company reported. Clinical studies suggest that as a mucosal vaccine, it offers dogs a robust immune response after a single dose administered into the dog’s buccal cavity, according to the manufacturer. Backed by the Pet Vaccines Customer Satisfaction Guarantee.